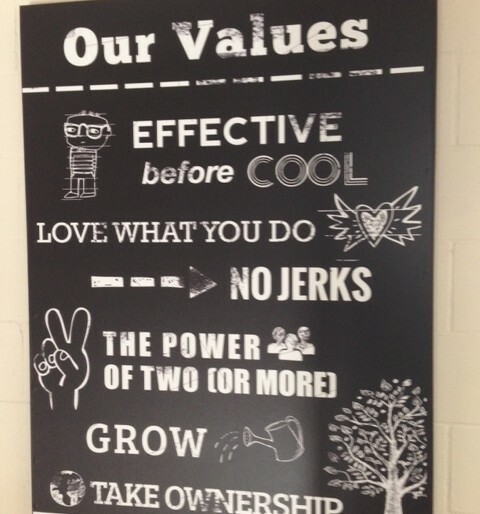 I met a cool web design company and in the foyer was their values. I loved the language and simplicity of their approach. No corporate BS statements here — just an authentic and creative expression of their values.